History isn't about memorizing names and dates, although these basic facts give us a framework for understanding the subject. There are a number of themes that occur and re-occur throughout the past. Tracing these themes over the course of the year will help you understand long-term changes in European history. We will focus on five themes this year. 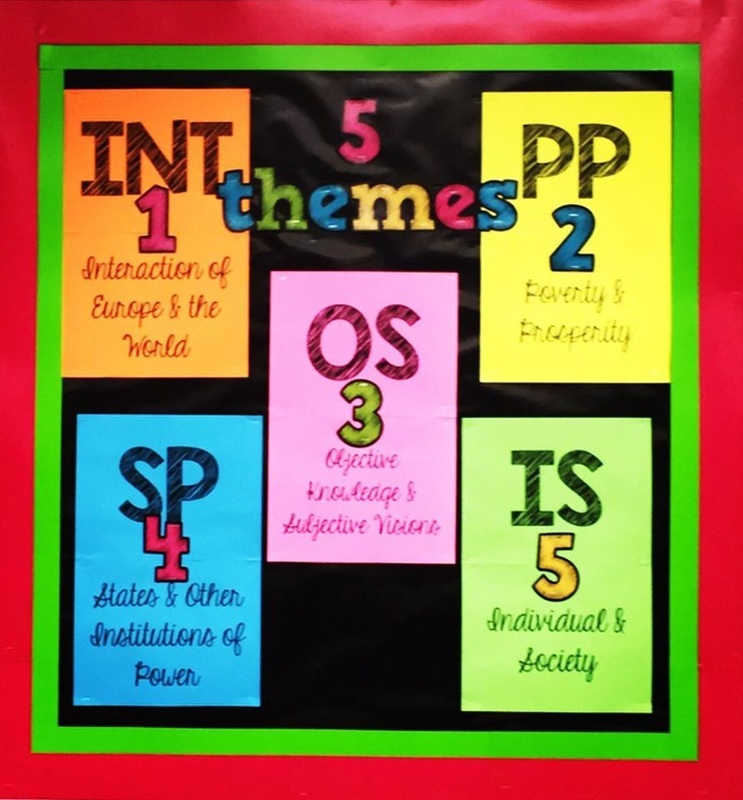 The overarching questions for each theme are listed below along with a detailed explanation of each. Also, please watch the video below from Mr. Sargent. Student Resources are found below at the bottom of the page. You will be introduced to these five Historical Themes throughout our study of European History. As you read your textbook, you may want to have these five themes close by so that you can refer back to them. Understanding how the themes relate to your text and interrelate to one another will help your understanding of the subject matter.